Garden of Aaron: Buffalo Grass, Won't You Come Out Tonight? Buffalo Grass, Won't You Come Out Tonight? Apologies for the pun in the title! I've become really interested in buffalo grass lately - and blue grama grass for that matter. So I've been looking for alternate options for groundcover and lawns. Some people recommend lawns made of creeping thyme, but I don't think that's supposed to do well in the humidity of the Southeast. And my experiments with clover early this year turned out to be a disaster. I won't say that clover isn't suited for any lawn, just that the height and the flowers are not compatible with HOA communities that like lawns to be unobtrusive. But the worst part for me was clover's aggressiveness. I can't imagine how people with clover lawns keep clover out of their landscaped beds and gardens, for instance. And on the flip side, since clover disappears in extended heat or drought, it's not really a reasonable option for year-round groundcover. So I've settled on two native grasses as my Great Hope - buffalo grass and blue grama grass. - Buffalo grass is very drought tolerant and requires much less water than typical mid-South alternatives like bluegrass or fescue. According to Wayne, bluegrass often needs 1 to 1.5 inches of water per week to look its best. 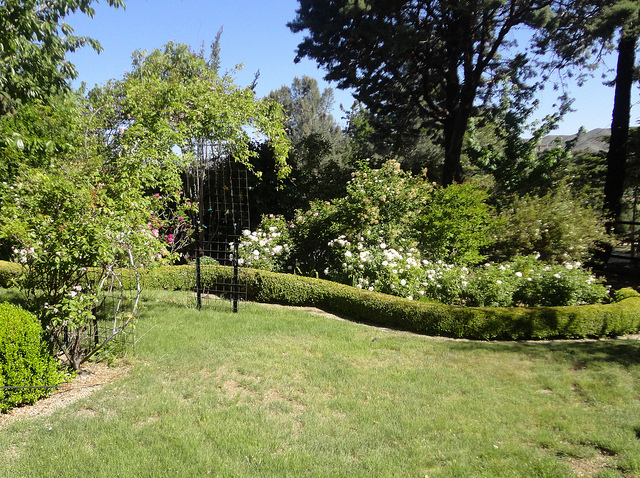 In hot weather, that can mean watering once or twice per day. By contrast, buffalo grass needs only 1/4-inch of water per week. In many parts of the country, Wayne says that buffalo grass will not require any supplemental water once it gets established. - Buffalo grass is low-growing. 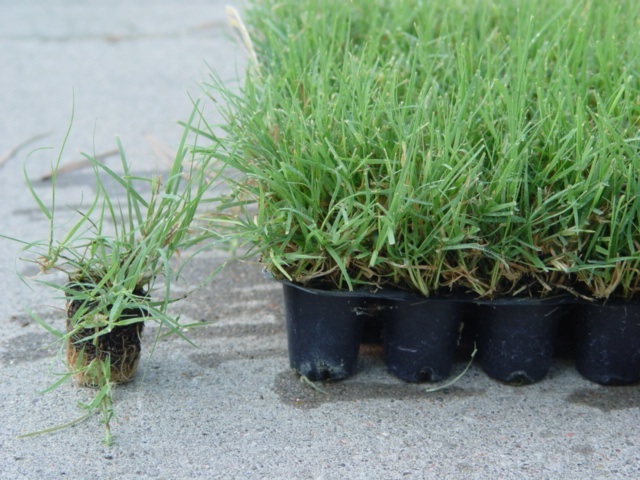 None of the varieties sold by Todd Valley Farms grow more than 8 inches tall, and one of them, Legacy buffalo grass, typically grows only 5 inches tall maximum. Because all buffalo grasses are slow-growing, they can be mowed as little as once per month, or even less frequently, depending on how manicured a look you want for your lawn. - It is important to pick a bluegrass variety that is adapted or bred for the climate where you live. 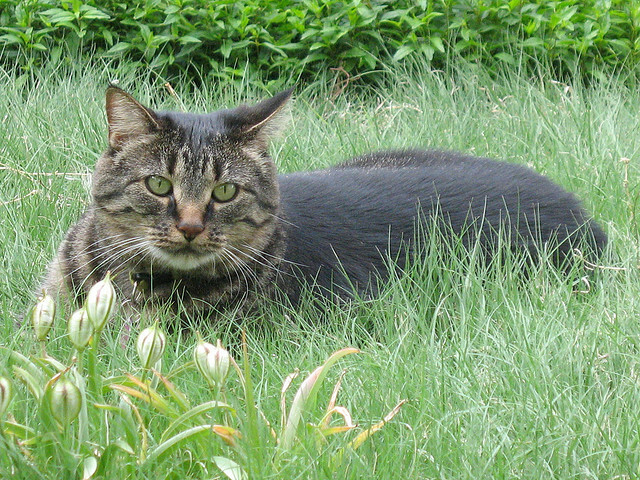 For the hot and humid Southeast, that means going with Prestige buffalo grass. According to Wayne, Prestige has been grown successfully even in the hottest and most humid regions of southern Texas and Florida. - Buffalo grass is the only native North American turf grass. - Buffalo grass does spread horizontally -- but above-ground using stolons. It does not have below-ground rhizomes like zoysia or bermuda grass. That means (according to Wayne) that it's relatively easy to prevent buffalo grass from invading your flower beds through the occasional use of an edge trimmer. - Blue Grama grass also has low water use and it's a native North American grass, but Wayne says that it would make a poor choice for a lawn grass because it is not traffic tolerant at all. It also grows about 15-20 inches tall and does not spread. These latter two characteristics, plus it's attractive seed heads, could make it an appealing ornamental border grass. In late winter or early spring, you can rejuvenate blue grama by cutting it down to the ground, though I must confess I have some concerns about damaging the grass during the cutting stage if it is really as traffic intolerant as Wayne suggests. - How do these grasses fare in heavy clay soil? Wayne says that buffalo grass thrives in clay soil. High Country Gardens, another native grass supplier, states that blue grama also does well in clay soil. - How about dormancy? Blue grama and buffalo grass are both warm-season grasses. That means they'll go dormant when the days get shorter and the temperatures get cooler. For Middle Tennessee, Wayne said that I could expect buffalo grass to green up in early April and go dormant around the beginning of November. Blue grama would follow roughly the same schedule, he said, with perhaps a slightly shorter dormant period, but blue grama's seedheads can persist in the colder months, forming a nice addition to the winter landscape. - Wayne says that both buffalo grass and blue grama grass need relatively little supplemental fertilization. He recommends an annual application of just 1-2 lbs. of nitrogen fertilizer per 1000 square feet of grass. (Applying a heavier dose of fertilizer could actually give an advantage to weeds that would compete against the buffalo grass.) By comparison, Iowa State University recommends 3-5 lbs. of nitrogen fertilizer per 1000 square feet for a bluegrass lawn. If you want to read more about the pros and cons of buffalo grass, there are a number of good Internet resources like this overview from Colorado State University. Do note that according to CSU, buffalo grass is not well-suited for sites that get more than 1/2-day of complete shade. 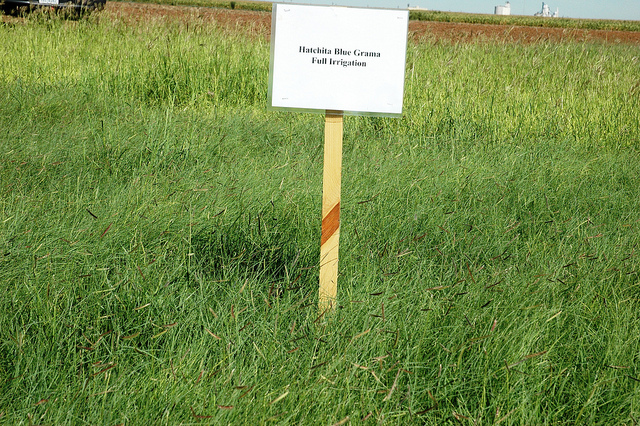 So...Does buffalo grass (or blue grama) sound like an interesting/worthwhile option to you? I have to confess I'm intrigued with the idea of a low-maintenance, drought-tolerant, native lawn and I will probably try planting a small trial patch of buffalo grass this autumn. How will buffalo grass fare in Middle Tennessee in the long run? Find out with a free email subscription? Aaron, if I grew grass, that buffalo or blue grama would appeal. But, I always have grown mosses instead. They can be difficult to establish, but once they move in, they're unbeatable. That said, I see the appeal, so I hope the test works for you. But don't mosses need shade and cool weather to flourish? We have some mosses that grow in our yard in winter, but they seem to disappear when it gets hot. In the long run, I hope to grow very little grass, but I doubt I'll stay at my current property long enough to put that plan into action. I have to admit, I was very interested until I read that it doesn't do well in shade. But it seems like an excellent choice for many gardeners. Have you thought about Pennsylvania sedge? It has rhizomes, takes shade, and is low growing. Not sure how it does with foot traffic, though. I've been thinking of replacing my grass with it in some areas. I've considered sedges, Jason. I think it might be a good complement to buffalo grass. Maybe the buffalo grass in sun and the sedge in the shade? Keep us posted. Sounds interesting. Thanks Janet! I have ordered a little bit of buffalo grass, so hopefully it will arrive soon and I can post some photos as to how it does in a trial patch. Great post! I think I have some buffalo grass already growing in my "lawn" areas...will have to encourage it! Thanks for the info...I've wondered how well it would do here. I grow a native grass~Danthonia spicata. It's not a turf grass, but it's drought resistant, grows in poor soil and is very lovely when allowed to grow its full height. Finally now I know what that grass is that has been growing and spreading on my acre. I absolutely love it, it is beautiful and doesn't get so high I feel I need to mow it at all. Yes, extremely drought tolerant. Now if I can just get it to choke out the Bermuda grass that's growing everywhere else. Thanks for your comment. Not sure if you were reply to Gail's comment though or my original post. Do you think you have buffalo grass growing in your yard or Danthonia spicata?